**These events are totally free, though donations are encouraged. The funds collected go to either a rescue for said breed or in default of no rescue the funds go to the Therapy Dog Program with St. John’s Ambulance. 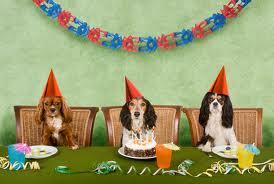 **....and no Beagles dressing up as Labs and sneaking into the wrong party!